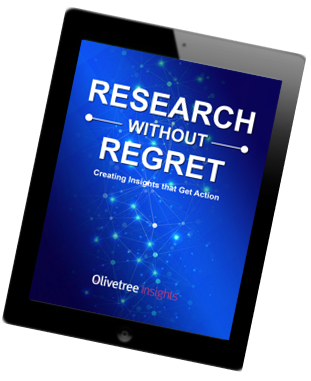 This is the second in a three-part series on avoiding research regret and delivering insights that get action. In the first installment, we looked at the cost of research regret and learned to identify the types of research regret. In this article we’ll get to the root causes of research regret. Jason had a terrible, no good, horrible, rotten day. When we last saw him, he was lying in bed reflecting on how it had gone so wrong. He knew his project had been a success; all the way up to the time he began to present his insights that is. “Why weren’t competitive flavors included? Why didn’t the chocolate latte macchiato flavor do better? Were the right people in the study?” The questions were like a barrage of bullets and Jason had no cover. Instead of staring at the ceiling, if Jason wants to research without regrets, he needs to dig deep and find the root causes. When he does, he will find five main drivers. Speed is everything in business. Customers expect almost instant gratification, and insights clients aren’t any different. If business isn’t nimble or lacks the ability to evolve and grow quickly, it will be outpaced by the competition. Evolve or die is the new normal. But the pressure for speed comes at a cost. This desire to “do something” leads to “do anything”. In the rush to “get ‘er done” the design and planning stages of the project are rushed. Jason and his client partner equally feel this pressure and their reactions are only human. When faced with problems, humans naturally respond with action. The natural urge is to take action, even when it is counterproductive. 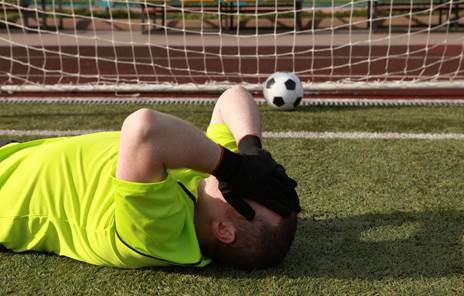 A found that while a goalie the highest chance of stopping a penalty kick if they stay in the center of the goal versus diving left or right, goalies only stay in that spot 6.3% of the time. The bias towards action is based on emotion and it must be resisted. Jason isn’t a soccer goalie, but that doesn’t mean he isn’t biased towards action. When the Harvard Business Review surveyed participants in their executive education classes, they found that managers feel more productive executing tasks than planning them. If there is a shortage of time (and when isn’t time in short supply?) these professionals perceive time spent planning to be time wasted. The bias towards action is based on emotion. It must be resisted. It is a key reason organizations don’t learn and is a root cause of post research regret. This bias toward action has two unintended consequences that lead to post research regret. Staff Overload. In a recent Quirks corporate researcher survey, almost 60% of insights professionals cited ‘too many projects for our staff’ and 50% reported “too many projects for budget” as often being pain points for their departments. No wonder people feel overworked. And to add to the stress, over 40% of those same insights professionals said, “not completing a project fast enough” is a challenge. Like you, when Jason feels overworked, his tendency is to work harder – to take even more action – when taking more action might not be the best course of action. Lack of Strategic Thinking. If Jason’s company culture doesn’t support strategic, forward-thinking research, his department may be spending too much money on one-off projects with limited long-term value. Jason and the company would be better served investing in projects that are able to guide the company’s direction. Fortunately, Cambiar’s 4th Annual Future of Research Report (chart below courtesy of Cambiar Report) shows that insights professionals are increasingly impacting the C-Suite and other corporate strategists. Unfortunately, 30% of those same marketing researchers feel say that “business decisions are being made faster than we can provide input”. If Jason and other corporate researchers like you are going to take on a greater role as a strategic partner, they must have time to think strategically. Jason delegated the new flavor research study to a new but trusted member of his team. Patrick is a skilled and savvy researcher with extensive supplier-side experience. Jason was confident in his ability to design and complete this project. However, because Patrick is new to the company, he is just getting to know the business team members. He didn’t feel completely comfortable asking what he thought might be too many probing questions during the design phase and was unsure of his authority to do so. Unfortunately, Patrick didn’t feel comfortable second guessing the list of flavors provided by the brand team. Nor, did he ask about what was out of the scope of the project. After all, he was getting more background on this project than he had ever received at his previous employer on the suppler-side. Asking probing questions, such as clarifying probes (tell me more about…) and elevating questions (let’s take a step back….) are critical for aligning insights projects with business needs. However, too often what’s “outside of the scope” isn’t discussed based on the mistaken belief that once what’s “in” a project is known, the rest is “out.” Yet, missing this exploration often leads to scope creep, the bane of insights professionals! Exploring what’s “out of scope” often reveals underlying, unstated assumptions. In addition, this exploration not only reduces the risk of scope creep, but can also reduce misunderstandings about the desired outcomes and the second guessing that can happen at the end of the project (e.g. “We should have asked about the competitive flavors…”). Everything just works much better when a leader can define and communicate their goals than when they leave everyone guessing. In Jason’s case, his team was working directly with a brand manager on the research project design. The insights team assumed that the brand manager kept the VP in the loop and vice versa. What you don’t know that you don’t know can sink your project. Engage decision makers to clearly define and confirm project goals. Unfortunately for Jason, Patrick, and everyone else involved, this wasn’t the case. During the entire planning period, the VP was in Europe, busy hammering out new expansion plans. The VP delegated the project to the brand manager and then disconnected. The brand manager didn’t have the opportunity to verify key assumptions, such as which flavors to include in the project. In addition, Jason delegated the project to a new team member and then re-directed his energies to the many other projects coming across his desk. This was the ‘easy one’ after all! Unexpected results are inevitable. Be prepared. Jason wasn’t. The brand team didn’t like the chocolate latte macchiato scores. They wanted the flavor to win. Unexpected results are tough. The brand team had practically decided to include chocolate latte macchiato in their new lineup. Jason and Patrick didn’t know that the brand team was talking to retailers, who were excited about the flavor. When the flavor didn’t win, the research was questioned. This is a perfect example of status quo bias. It’s when managers prefer past practices or past decisions because it’s an easy and comfortable default. Jason and Patrick should have known prior flavor decisions were based on flavor trends and retailer input. The brand team trusted this method. Researching flavors with consumers was new, so they were naturally uncertain about it. People resist change because they fear change. People fear loss of control, the unfamiliar and uncertain, and ripple effects. Jason should have assured them of the process in the beginning and throughout the project. Many research studies can take from 6 to 12 weeks before the results are presented. In a rapidly changing environment, lots can happen in that time frame. It’s imperative that the research team be kept informed of any major external market factors that change during this critical period. Insights professionals are increasingly being called upon to provide actionable insights at a moment’s notice in an increasingly dynamic environment. New research and analytical technology has helped to speed up the process, but do not replace human intelligence. During Jason’s ice cream study, a competitor might have launched a new flavor, or a key retailer could have indicated a different flavor preference. Either one of these circumstances could have significant influence on the study analysis and report. If the research team isn’t kept in the loop during this critical period, this context would be lost, and research regret would ensue. Now that you’ve seen discovered the root causes of post research regret, are you ready to learn techniques to deliver actionable results time and again? Stay tuned for the third article in this series or Download our FREE e-book “Research without Regrets”.